Whenever we talk about meteorites with individuals from the general population there are some standard questions that they ask. Some of those questions with their answers are presented here. Do meteorites start fires when they land? The fast answer is No. Meteoroids which is what the rock is called when it is still in space are cold. During their passage through the atmosphere they heat and melt on the outside but the time is so short that they are burning the insides of the stones remains cold. While is it possible that they may hit something upon landing and that could create a fire it is not because the meteorite itself landed hot. Do meteorites contain materials not found on the Earth? Meteorites are made up of the same elements that all Earth materials are made of. There are no elements that are not found on Earth. However, there are minerals found in meteorites that are not found in rocks of the Earth. 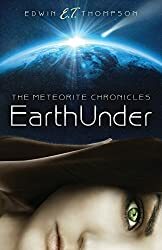 Has anyone ever been killed by being hit be a meteorite? 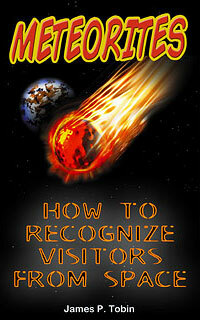 There are records of several persons being hit by meteorites. Apocryphal stories are told but, no persons have been killed yet that has been well documented. A cow however, was killed in a field in South America by a large stone meteorite. Cars and many man made objects have been hit by falling meteorites. How do we know that Martian meteorites actually come from Mars? It is a little complicated but the short answer is by the trapped gases that are in the rock. As early as the 1970’s with the early Mars probes NASA sent to our neighbor we have known the composition of the Martian atmosphere. When suspect meteorites are analyzed the gases they contain are a match to that which we found on Mars. It involves ratios of isotopes and other things but there is no doubt at this point with the modern tools researchers have to employ. Again the answer is not a simple yes or no. They are not radioactive as a piece of uranium ore or even a smoke detector for your home is radioactive. But, freshly fallen meteorites do release activity from very short lived isotopes that scientists are very interested in. The sooner a stone can get to the laboratory for study the better these weak reactions do not last long and can only be detected in a lab. They pose no danger at all. Has evidence of life ever been found in a meteorite? The current answer seems to be no. There was the great scientific and media event years ago involving an Antarctic discovered meteorite that had odd microscopic forms of minerals deposited in it. These were later determined to be from contamination during the meteorite’s long stay here on Earth and are just mineral grains of tiny size. The search goes on however. What is the difference between a meteorite and an asteroid? This question should maybe be rephrased to “what is the difference between a meteoroid and an asteroid?” Before a stone lands on the ground it is called a meteoroid, while it is passing through the air and burning the light it makes is called a meteor. But when it was in space the only difference from an asteroid was its size. Small bits of rocks and metal are called meteoroids and larger ones are called asteroids. Meteorites are the recovered bits of asteroids since the small pieces that were meteoroids are chunks broken from larger asteroids in the past. Meteorites land randomly all over the surface of our planet. They have been doing so for all time. Since nearly ¾ of the Earth’s surface is covered with water most fall into the oceans. Meteorites can be found anywhere but since they do not survive well in our moist environments they are easier to find in deserts where they can accumulate with time. Sometimes larger bodies fall and a meteorite crater is produced around these location many fragments of meteorite can be found. Sometimes the bright fireball is witnessed and the location where pieces may have fallen is determined. Often hundreds of meteorites are recovered when this happens. More often meteorites are found in farmer’s field and the desert where they have laid for thousands of years. There are many other questions raised for science by these visitors from space, but these are the ones most often asked in casual conversation. To learn more look at our meteorite books for sale page some fine publications on meteorites are offered there.